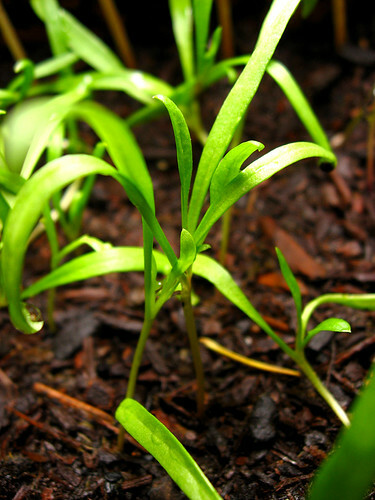 These are planted 1" apart (4×8) and will not be thinned; they’ll be used for salads. Started indoors in a damp paper towel. 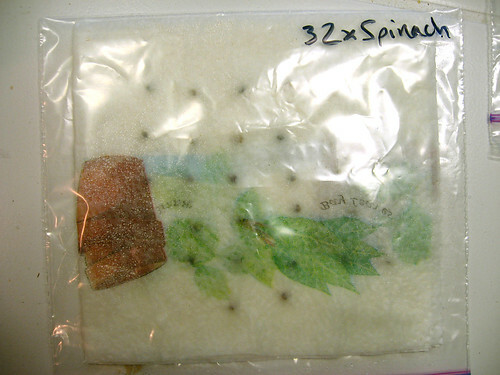 Sown from my Spinach: "Space F1" Seeds. What is your secret with Spinach? I have had nothing but failure after failure, we’re relatively in the same USDA zone – what is your technique? okay – I am looking at your photostream. 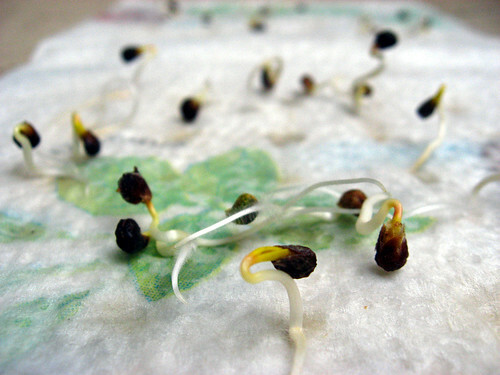 You germinate in paper towels then sow. 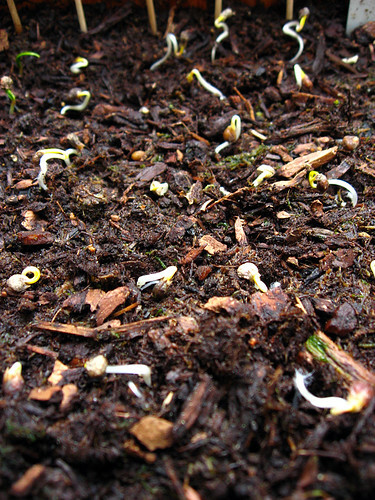 I have little success with germination but it has happened – it’s keeping them alive after they’ve sprouted… any words of wisdom to offer there?